Having served homeowners in Laguna Niguel, California, since 1991, Kilter Termite and Pest Control is one of the most experienced termite treatment companies available. Over the years, we have earned a reputation for providing custom treatment solutions that are not only highly effective, but more convenient than those offered by our competitors. In fact, our commitment to customer satisfaction has earned us a designation as one of the top pest control companies in the nation by Pest Control Technology – a leading industry publication. If you suspect you have a termite infestation, there’s no reason to delay finding out for sure, as Kilter can provide you with a free termite inspection. We’ll thoroughly inspect your home and provide you with an accurate report along with our recommendations. And, if you decide to use our services, you’ll be pleased to know that our termite control system doesn’t require you to leave your home. This is because, rather than fumigation, we use the KILGUARD system which directly targets infestations sites, completely eliminating drywood and subterranean termites. We’re so sure that our treatment system will be effective that we back it with an incredible two-year warranty. 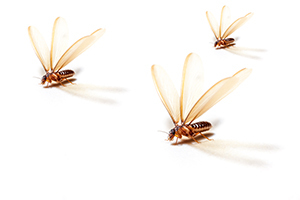 Additionally, if termites have caused damage to your home, Kilter can help with that as well. We have a team of experienced craftsmen who can replace wood and restore damaged areas of your home. Contact Kilter Termite and Pest Control today to learn more about the termite treatment services we provide in Laguna Niguel, CA.